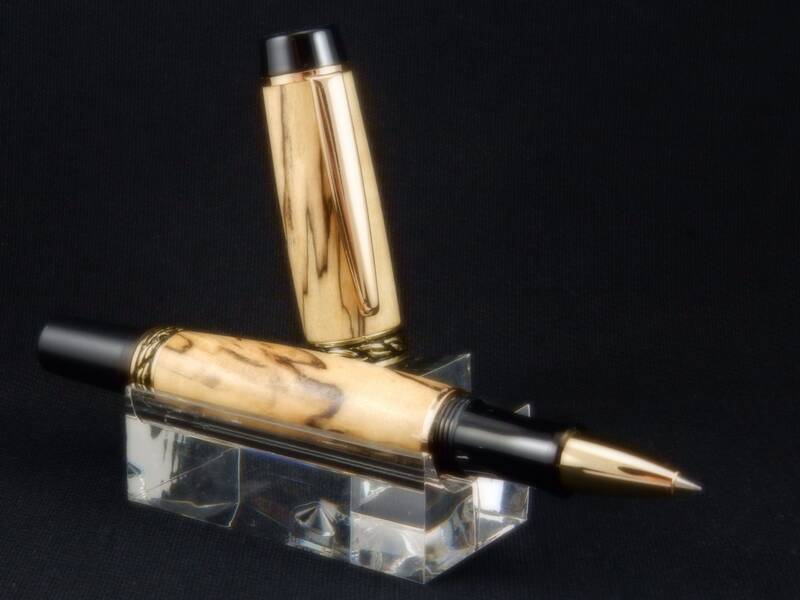 A truly classic look, this pen is hand-turned using a rare piece of Spalted Maple. Polished to a glossy shine, this pen will be used and cherished for decades, possibly handed down as a family heirloom. 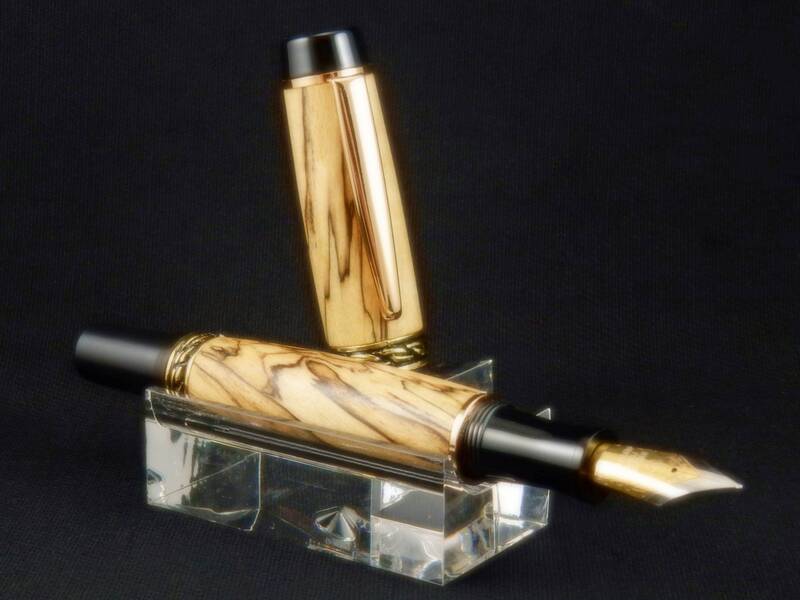 Matched with black and 24k gold fittings, the pairing makes for a truly stunning writing instrument. Further complementing the Spalted Maple is the 3D twisted rope pattern of the fitting's center and end bands.